Sleep is an essential part of feeling well and feeling happy, but most almost everyone experiences problems sleeping at some time of their life. 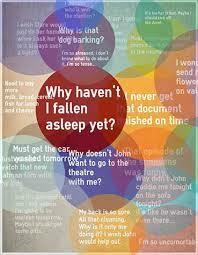 Sleep disruption is common, especially during times when you may feel emotionally overwhelmed. Anxiety, relentless replaying of the day’s events, and heightened emotions may significantly interfere with your sleep. Lack of sleep robs you of needed rest. Bringing sleep patterns under control is important – you need your rest. However, it often takes some time to get problematic sleep under control and rarely can this be done overnight! The most common cause of insomnia is a change in your daily routine or stress. For example travelling, exams, work stress, change in work hours, disruption caused by eating, exercise, or leisure, relationship conflicts, etc. may all cause problems. Paying good attention to good sleep hygiene is the most important thing you can do to maintain good sleep. “Sleep Hygiene” means habits that help you to have a good night’s sleep. 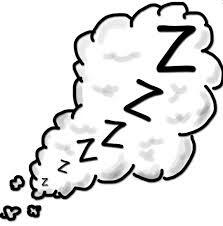 Common sleep problems (such as insomnia) are often caused by bad habits reinforced over years or even decades. You can dramatically improve your sleep quality by making a few minor adjustments to lifestyle and attitude. On average adults need 7 to 8 hours of sleep to function at an optimum, but there are individual differences in the amount of sleep needed. A good night’s sleep is essential to restore our body and our mind. Get up at the same time every day. Soon this strict routine will help to ‘set’ your body clock and you’ll find yourself getting sleepy at about the same time every night. Don’t ignore tiredness. Go to bed when your body tells you it’s ready. Don’t go to bed if you don’t feel tired. You will only reinforce bad habits such as lying awake. Sleep only when sleepy. Get enough early morning sunshine. Exposure to light during early waking hours helps to set your body clock. This is particularly important for older people who may not venture outside as frequently as children and adults. Light exposure helps maintain a healthy sleep-wake cycle. Invest in a mattress that is neither too hard nor too soft. Make sure the room is at the right temperature. Ensure the room is dark enough (e.g. window blinds, eye shades). Eliminate noise (e.g. ear plugs). A fan, humidifier, or air conditioner can often serve as a white noise generator. Use your bedroom only for sleeping and intimacy. If you treat your bedroom like a second living room – for watching television or talking to friends on the phone, for example – your mind will associate your bedroom with activity. Cigarettes – many smokers claim that cigarettes help them relax, yet nicotine is a stimula nt. The side effects, including accelerated heart rate and increased blood pressure are likely to keep you awake for longer. Alcohol – alcohol is a depressant drug, which means it slows the workings of the nervous system. Drinking before bed may help you doze off but, since alcohol disturbs the rhythm of sleep patterns, you won’t feel refreshed in the morning. Other drawbacks include waking frequently to go to the bathroom and hangovers. Sleeping pills – drawbacks include daytime sleepiness, failure to address the causes of sleeping problems, and the ‘rebound’ effect – after a stint of using sleeping pills, falling asleep without them tends to be even harder. These drugs should only be used as a temporary last resort and under strict medical advice. If you are a chronic bedtime worrier, try scheduling a half hour of ‘worry time’ well before bed. Once you retire, remind yourself that you’ve already done your worrying for the day. Try relaxation exercises. You could consciously relax every part of your body, starting with your toes and working up to your scalp. Or you could think of a restful scene, concentrate on the rhythmic rise and fall of your breathing, or focus on a mantra (repeating a word or phrase constantly). Exercise every day, but not close to bedtime and try not to overheat yourself – your body needs time to wind down. Best exercise times are in the morning or late afternoon. A relaxing exercise, like yoga, can be done before bed to help initiate a restful night’s sleep. Try not to engage in mentally stimulating activities close to bedtime. Use the last hour or so before sleep to relax your mind. 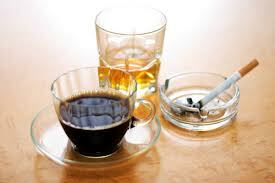 Avoid caffeinated drinks (like tea, coffee, cola or chocolate) close to bedtime. Instead have a warm, milky drink, since milk contains a sleep-enhancing amino acid. However drinking too much, too close to bedtime, may cause you to wake up multiple times to urinate. Try not to drink fluids the two hours before bedtime. Food can be disruptive right before sleep. Stay away from large meals close to bedtime, but a light snack may be sleep-inducing. Turn your alarm clock to the wall. Watching the minutes tick by is a sure way to keep yourself awake. If you can’t fall asleep within a reasonable amount of time (20 minutes for example), get out of bed and do something else for a half hour or so, such as reading a book. Doing something boring may help too. Don’t use white/blue/green light at night. Blue light tells the brain its day time and prevents the release of melatonin and prolactin, two important night hormones. If you have tried and failed to improve your sleep, you may like to consider professional help. Contact us for more information.